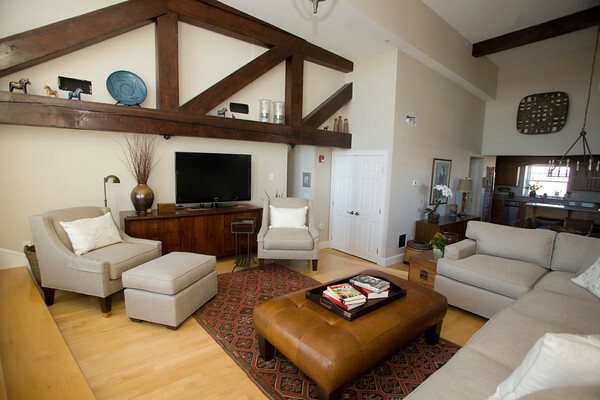 Exposed beams from the original building are incorporated into the main living area of Steel's condo. She uses the beams to show of her collection of pottery and other items from her travels abroad. Photo by Amy Sweeney.